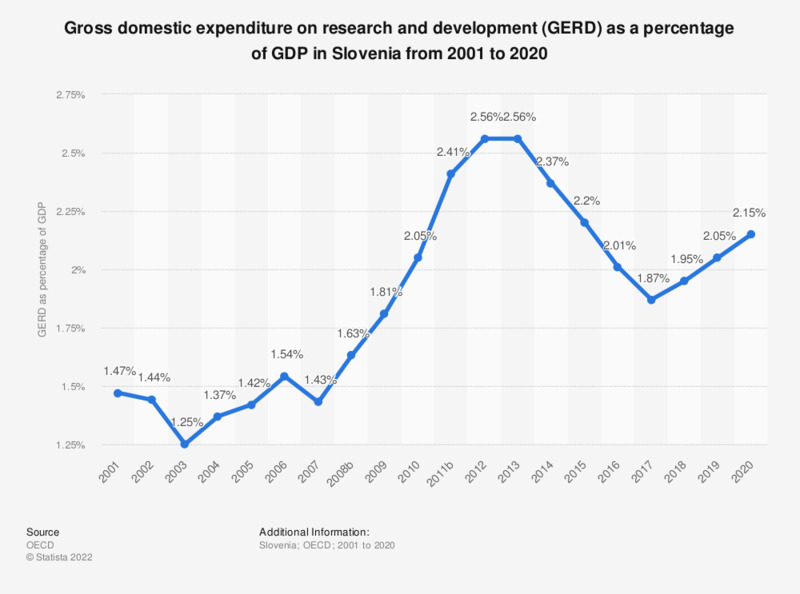 This statistic shows the gross domestic expenditure on research and development (GERD) as a percentage of the gross domestic product (GDP) in Slovenia from 2000 to 2016. The overall trend is one of increase with a net increase of the GERD to GDP ratio of 0.64 percentage points despite the decrease in 2014 and 2015. In 2015, the ratio was 2.20 percent and it was higher than in Estonia and Slovakia. * Break in series with the previous year for which data was available.